Clipping Chix: Dollar General: Lime-A-Way Toilet Cleaner only 25¢ with Coupon! Dollar General: Lime-A-Way Toilet Cleaner only 25¢ with Coupon! 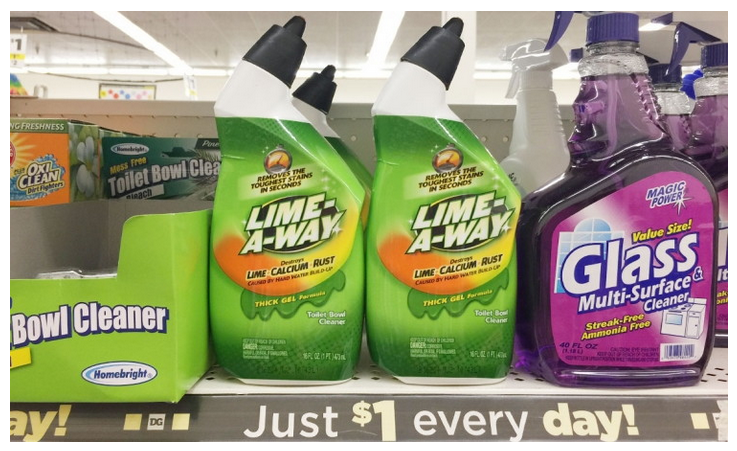 Lime-A-Way Toilet Cleaning Gel is $1.00 at Dollar General. Use the $0.75/1 Lime-A-Way coupon to pay only $0.25!